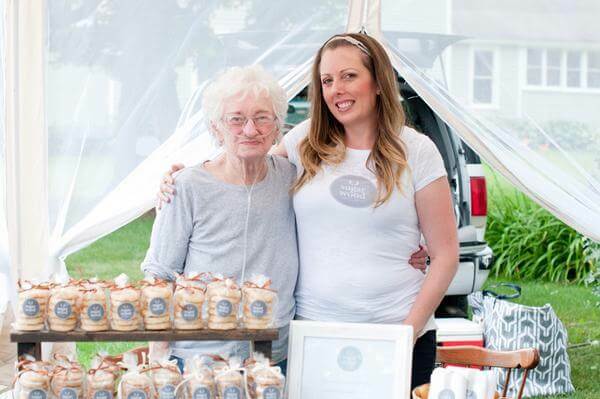 Nashville Wraps’ customer Chana Wood spent her childhood in her Grandma Ricci’s kitchen in Cumberland, Wisconsin, baking and learning new recipes. Her Grandpa Ricci raised dairy cows and crops, and every day at noon, her grandma would feed their 10-15 workmen. Chana would help bake and deliver desserts to the hired men in the fields. In 2013, her husband was unexpectedly laid off from his job. Chana had been a stay-at-home mom with little income from her baking hobby. They left the Twin Cities and moved back to the small town of Cumberland where her grandparents still resided. “We desperately needed money that holiday season for Christmas gifts for our girls and I needed to think fast! 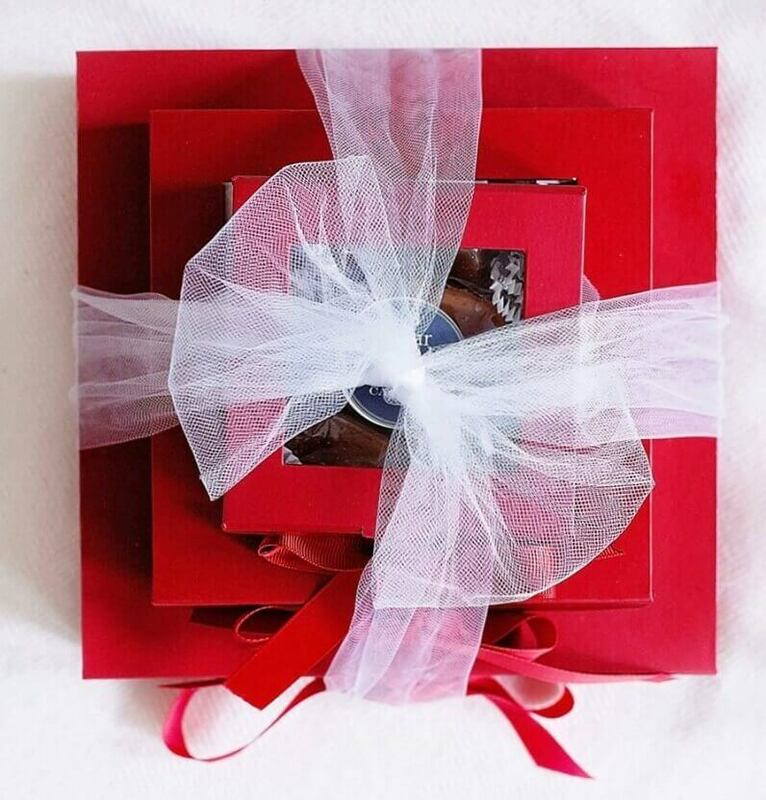 That holiday season, I created a cookie and candy gift box to sell using all of Grandma Ricci’s signature Christmas treats. They sold like crazy! Beautiful packaging is important to their success. 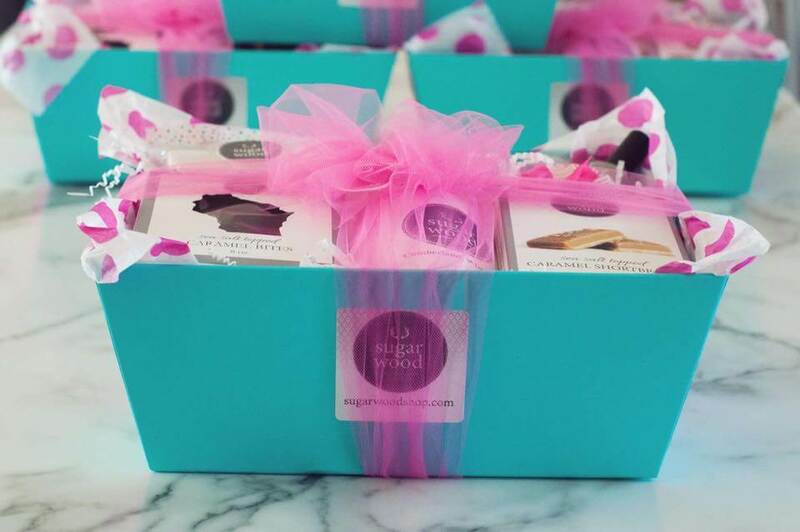 “When I was baking elaborate parties for my daughters during the early years of Sugar Wood, I found Nashville Wraps from my friends Maureen Anders and Adria Ruff of Anders Ruff (featured here on our blog). We became connected through the party planning world and they are long-time Nashville Wraps customers. “There is so much to love about Nashville Wraps, I don’t know where to start! I love the variety of product options. It is a one-stop-shop for me! 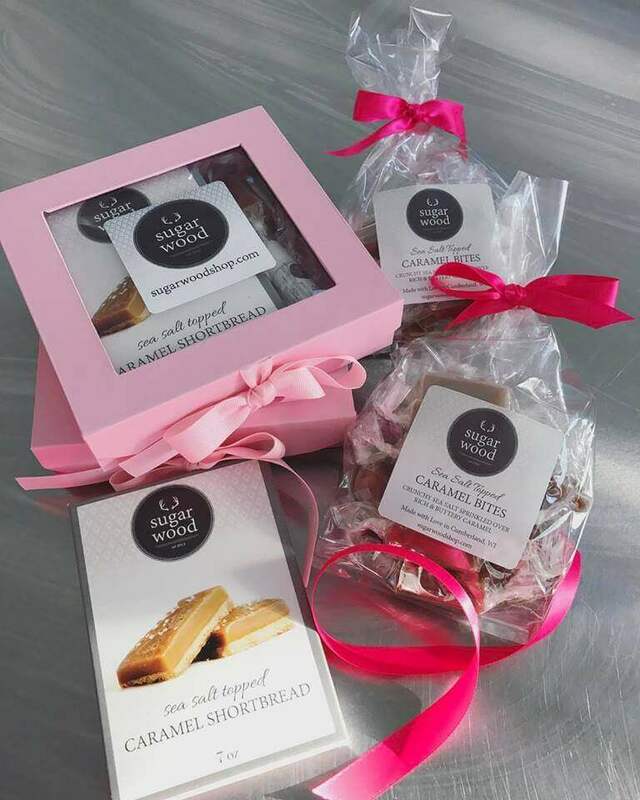 In my business, in addition to the caramel, I sell seasonal gift sets and limited-edition treats, so my packaging needs are constantly changing. I love that I can grab not only my candy boxes but my market trays, ribbon, tulle, tissue paper and crinkle paper shred in one fell swoop. There are so many different choices of colors, patterns, and styles! Grandma Ricci’s Hunk of Love! Sugar Wood’s flagship product is the sea salt topped caramel shortbread in 7oz hunks. They call it their “hunk of love”. Buttery caramel is poured over a crisp sugar shortbread cookie and sprinkled with sea salt. Customers agree this incredible delight is like no other! Currently, they are selling homemade marshmallows topped with a layer of caramel and milk chocolate. 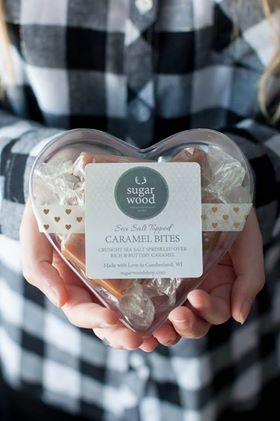 Sugar Wood allows the customer to pick up their orders at any time. As a baking facility, they sell their products to a growing list of retail locations throughout Wisconsin and Minnesota and ship to all 50 states through their e-commerce site. Nashville Wraps is grateful for customers like Sugar Wood. If you would like to offer their products in your shop, find wholesale information here. We are lucky to have this Sugar Wood family as our neighbors!!! They are great people and so very talented.